Samoa 7s rugby coach Damian McGrath knows how tough to be competitive on the World Sevens Series. 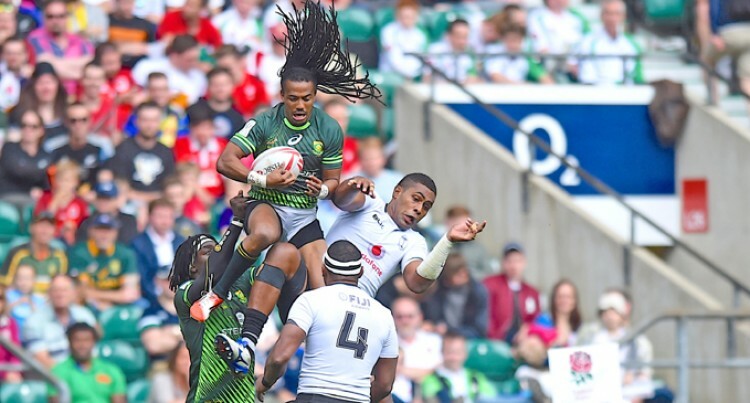 A week after their stunning victory in Paris, the Manu managed just one win in five matches at the London 7s. Samoa finished bottom of their pool on day one and, after holding off Russia 22-17 in the bowl quarter finals, were beaten 22-21 by Australia in the semifinals. “A lot of teams were leg-weary and I found it hard to get up,”McGrath told World Rugby. “We were emotionally and physically drained I think from the week before. I didn’t realise just how much it had taken out of us until we started playing. Three of the defeats we had were by the odd point – one score. Meanwhile, McGrath says Selesele’s selection in the Dream Team of the Series is richly deserved. The others are Osea Kolinisau, Jasa Veremalua, Virimi Vakatawa, Seabelo Senatla, Kwagga Smith and Perry Baker. “With players like that why shouldn’t we be confident (about qualifying for Rio next month)? They’ve worked hard…The Fiji team they beat in the final in Paris was Fiji’s all-star team – it was their best of the best – so if we can beat teams like that why should we be worried if we can’t get some of our 15 stars in there? The final World Rugby sevens qualification for the Rio Olympics will be held in Monaco and Dublin next month. The Stade Louis II in Monaco will host the men’s tournament on June 18-9, 2016 while Dublin’s UCD Bowl will host the women’s repechage a week later on June 25-26. A total of 16 men’s teams will compete in Monaco for the one remaining place and they are: Uruguay, Chile, Canada, Mexico, Spain, Russia, Germany, Ireland, Hong Kong, South Korea, Sri Lanka, Tonga, Samoa, Zimbabwe, Morocco and Tunisia. The winner will join Fiji, South Africa, New Zealand, Great Britain, Argentina, USA, France, Japan, Australia, Kenya and hosts Brazil at Rio 2016.